In Junior Australian Football, the effective change that took place for coaches is the interchange rule. This rule meant that coaches could utilize the skills of each player, putting them in every position for field experience. With the interchange rule, players could develop new skills faster, reducing the dropout rate of boys with less ability. Prior to introducing the interchange rule, there were only two reserves on the team. These reserves would replace a team member who was injured during play or replace a team member who was not performing well during the game. In the past, once a player was replaced, he could not reenter the game. The interchange rule will work, depending on the level of how the team plays and the number of players in the game. If it is a nine a side game, then there are nine players. There are some games that use fourteen to eighteen players on the side as well. The coach for each team is allowed through the interchange rule to provide counseling and encouragement to a player that interchange or are involved in a specific play. In so doing, the player would know why the coach is doing so. Some coaches use the interchange rule to leverage how the game is played. For example, some coaches use a buddy system to interchange players in mid-field. One player may have the ball at one point and then the other player is a forward. The forward would replace the player who is on the ball as he exits the game for the interchange bench. The player seated on the bench then assumes the forward line position after warming up for the game. In a school game, the 18 a side game has up to twenty five players that coaches could use for interchanging. The coaches would allow players to make a decision each quarter if they wanted to make the change. Some coaches would let the players decide whether they would play for each quarter. 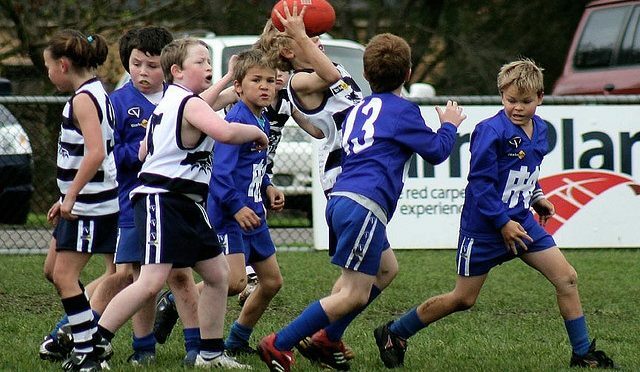 When it comes to playing time and how much time players spend on the field between each interchange, the rule is strict on both junior teams and school teams. Young players can exhibit greed in their allotted time on the field and not want to exit the field to give another team mate playing time, causing them to break the rules. It also results in fatigue from extended playing time and it makes the other players frustrated about waiting their turn to enter the football field. The interchange rule allows players to improve their game, have confidence on the field and gain experience in playing more than one positions. This is why so many Australian coaches love this rule. Learn more about the junior Australian football, the training balls used by coaches and how the ball can also improve the game. Go to That Training Ball today.